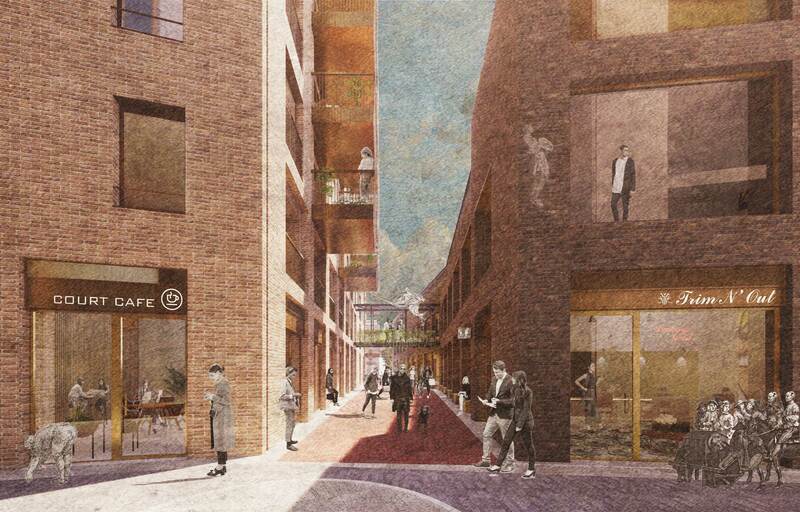 View of proposed St Margaret’s Lane with shops, cafes and workspace below and new homes above. 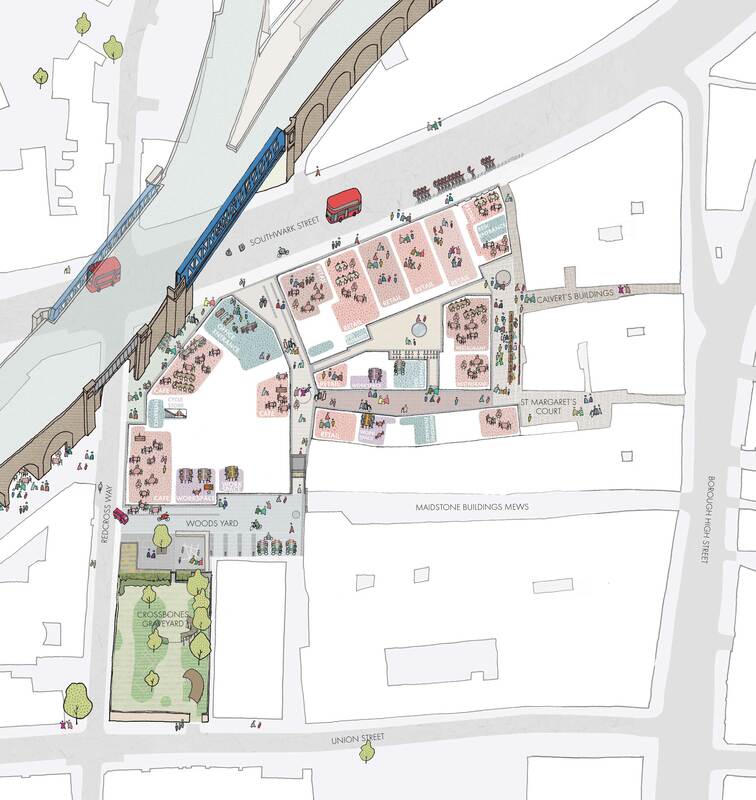 Over the last nine months we have been developing plans for the site between Southwark Street, Redcross Way and Crossbones Graveyard in consultation with the Council, local residents, businesses and community groups. We are grateful to all those who attended our consultation events and provided feedback on our proposals. 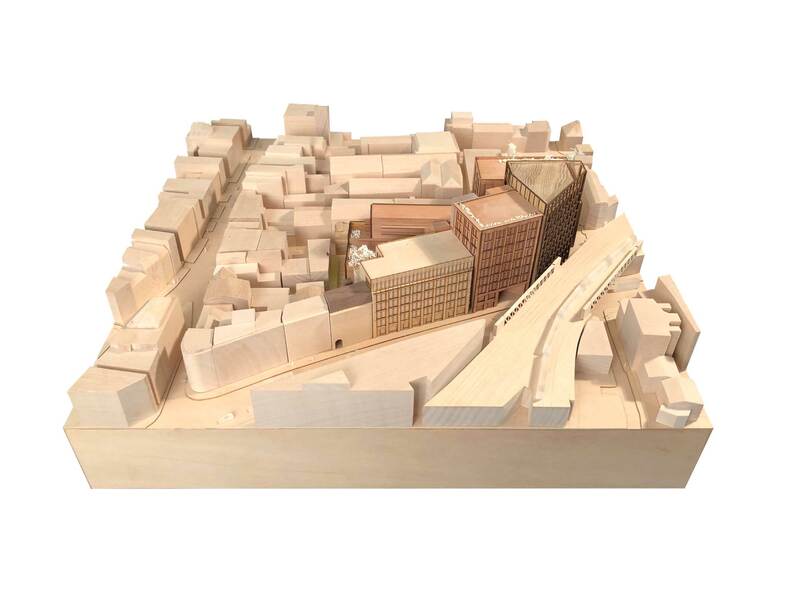 We have now submitted a planning application to Southwark Council. 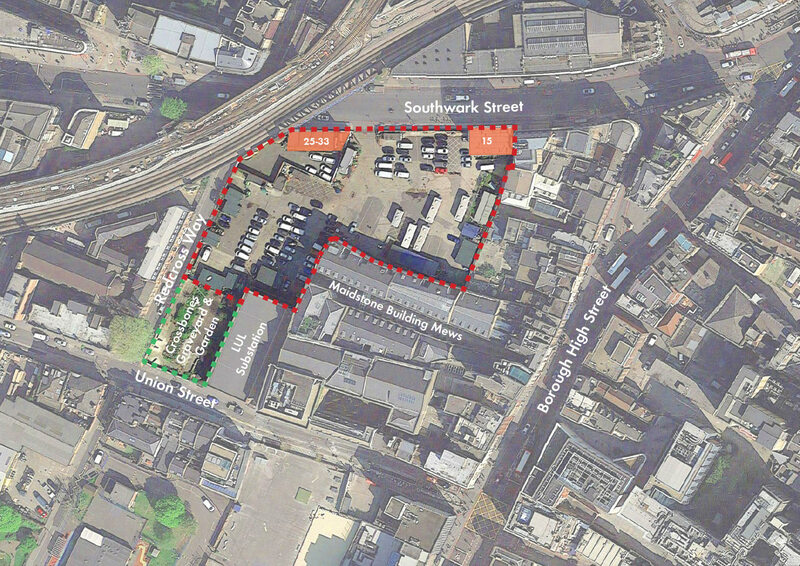 The application is available to view on the Southwark Planning Register (Ref: 19/AP/0830) Comments can be submitted to Southwark Council until Friday 19 April 2019 and a decision is expected in the summer. If you have any questions about the project, then please do not hesitate to get in touch with the team at hello@landmarkcourtsouthwark.co.uk or by calling 020 3633 5902. Landmark Court is an under-utilised and undeveloped site by Borough Market, between Southwark Street, Redcross Way and Crossbones Graveyard. It is approximately 0.7 acres in size and lies around 250m west of London Bridge rail station in the London Borough of Southwark. The site was cleared in 1997 to provide a works site to facilitate the construction of the Jubilee Line extension and was subsequently used as a works site for the Thameslink 2000 upgrade works. It is currently in use for informal storage and for car parking. 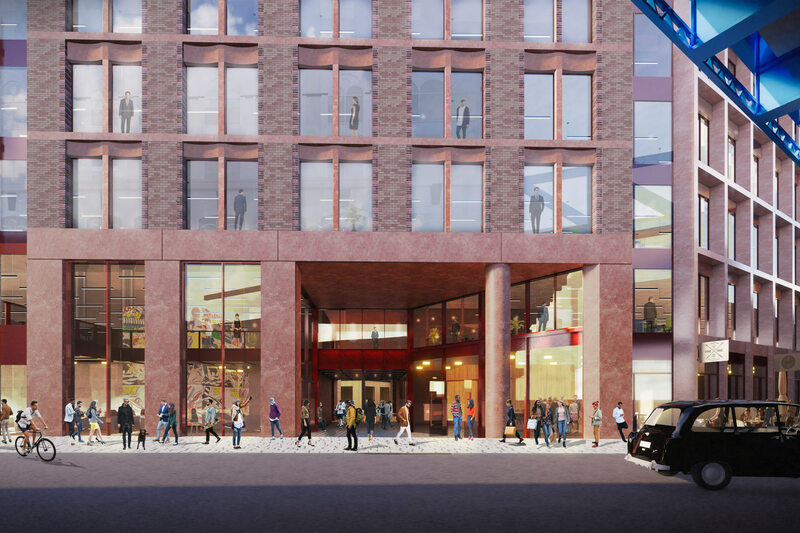 Landmark Court will provide more than 20,000sqm (215,000sqft) of new office space, plus shops, restaurants, cafes, flexible workspace and new homes. This will bring more than 1,500 jobs to the area and 35 new homes, including 8 for social rent and a further 4 for discounted sale, equating to 38% affordable housing (by habitable room). Buildings set back to allow new section of proposed ‘low-line’. 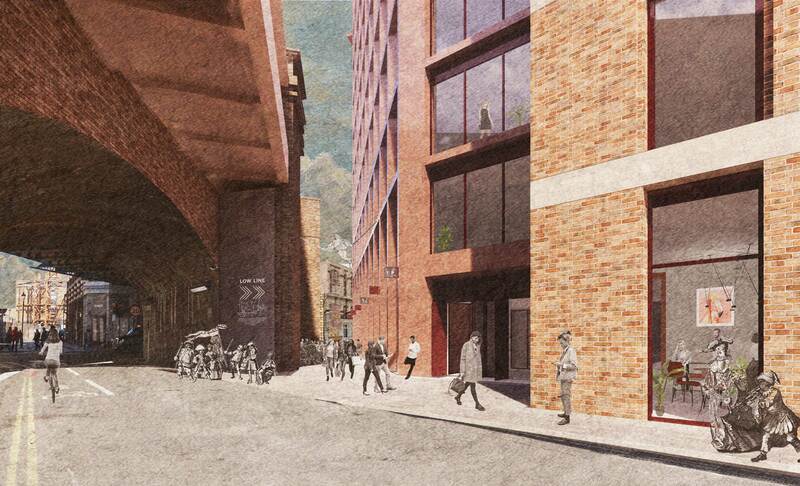 New pedestrian routes through the site will reinstate some of the medieval yards and lanes of historic Southwark, an approach strongly supported during public consultation. These lanes will be lined with shops, cafes, restaurants and market stalls to bring activity during daytime and the evening. Smaller retail units have been provided to encourage small independent traders, another key local priority. 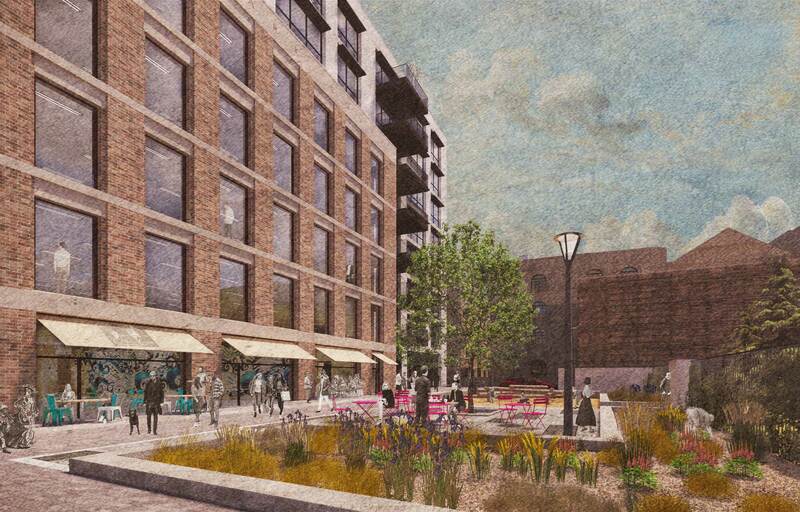 The scheme has been designed by local architects Allies and Morrison, as a varied collection of contemporary brick buildings, sensitive to the scale of their surroundings and full of references to the historic Victorian industrial and commercial architecture of the area. 15 Southwark Street, derelict for many years, will be restored as part of the development. Crossbones Graveyard, a post-medieval burial ground adjoining the site, will be safeguarded from development in the long-term. Today, it is home to a garden of remembrance tended by The Friends of Crossbones on behalf of Bankside Open Spaces Trust (BOST). U+I and TfL will continue to work in partnership with both groups to deliver enhancements and a management plan for Crossbones, which has evolved over two decades as a contemplative space. Transport for London (TfL), who own the land, appointed urban regeneration specialists U+I in 2017 to develop proposals for the site. If planning permission is granted, work will start on site early 2020 and is expected be completed in 2023. Comments can be submitted to Southwark Council until Friday 19 April 2019 and a decision is expected in the summer. If you have any questions about the project then please do not hesitate to get in touch with the team at hello@landmarkcourtsouthwark.co.uk or by calling 020 3633 5902.